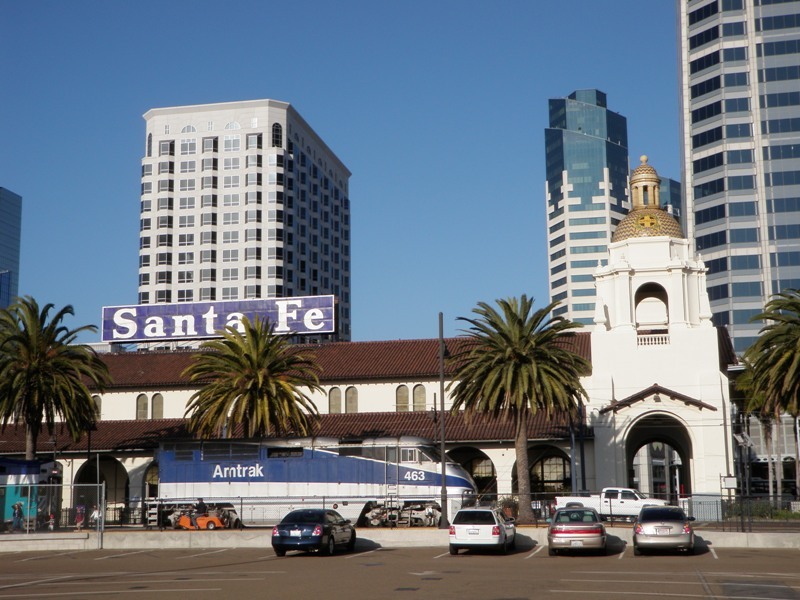 This scenic point-to-point ride starts at Union Station in Los Angeles and ends at Santa Fe Station in San Diego, both connected via the Amtrak Surfliner. 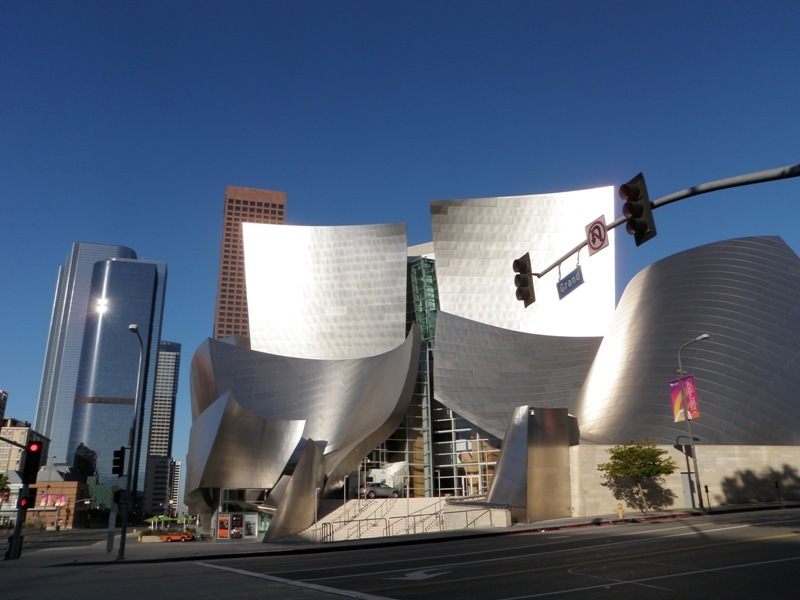 The route leads through downtown L.A., following N. Los Angeles Street, W. Temple Street, and N. and S. Grand Avenue, passing by Dorothy Chandler Pavilion and Walt Disney Concert Hall. 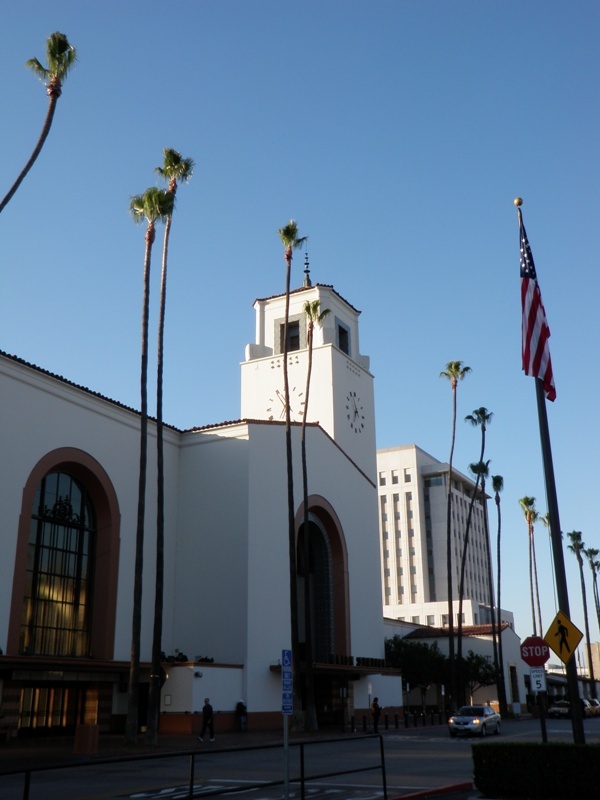 W. Olympic Boulevard continues through Koreatown to S. Western Avenue, which leads all the way south until it meets Pacific Coast Highway. 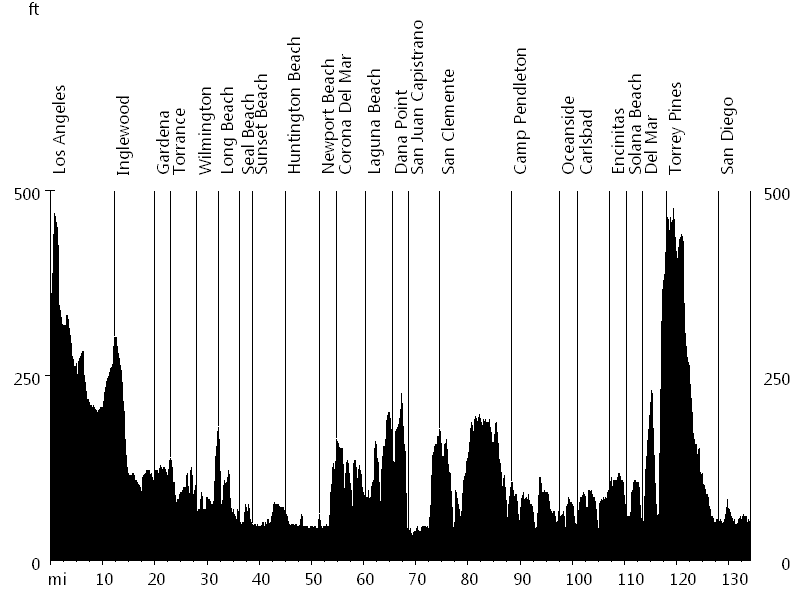 The route then follows PCH, visiting the beach cities and passing through Camp Pendleton Marine Corps Base. 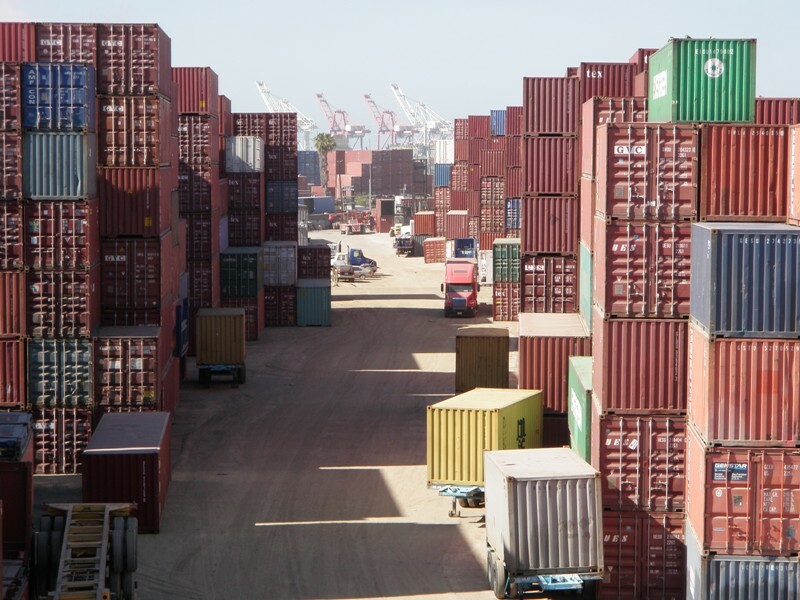 After a climb at Torrey Pines, the route continues on N. Torrey Pines Road, Gilman Drive, Santa Fe Street, Mission Bay Drive, Pacific Coast Highway, and W. Broadway, before ending at Kettner Boulevard. I got the idea to this ride when I met a group of bike messengers from L.A., who were doing a similar ride. Ryan P. rode with me during the first half of the ride and Bart B. during the second half. 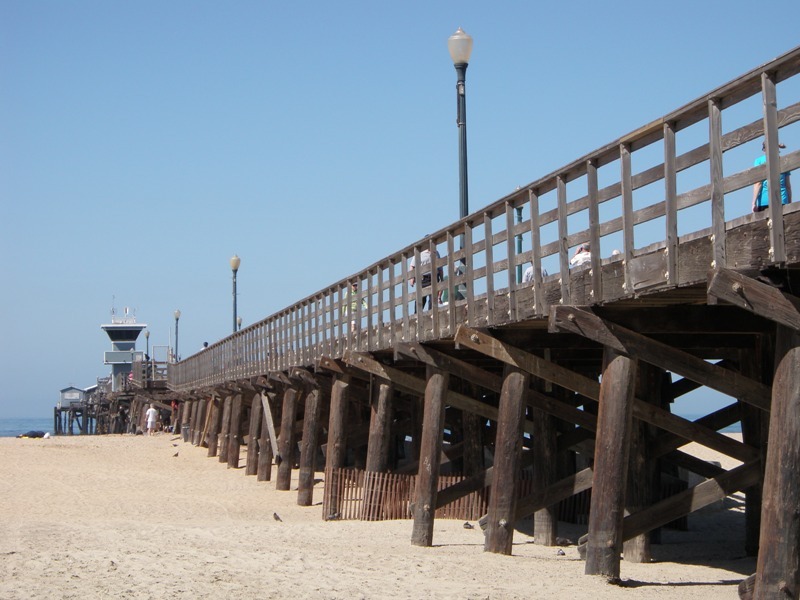 I started solo and met up with eight of the Renegades at Seal Beach pier. Bart B. rode with me all the way to San Diego.